A pedestrian was hit at Beach Ninth Street and Sea Girt Boulevard in Far Rockaway Thursday morning. 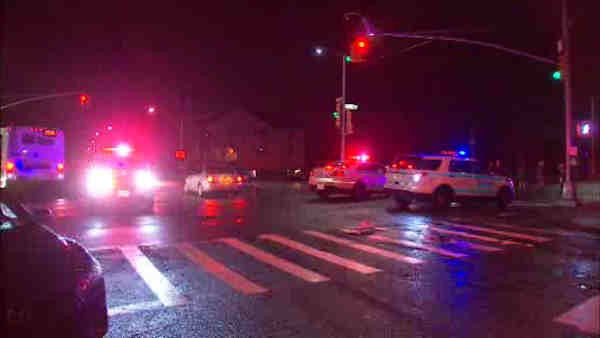 FAR ROCKAWAY, Queens (WABC) -- A pedestrian was struck in Far Rockaway, Queens, Thursday morning. The victim was hit at Beach Ninth Street and Sea Girt Boulevard just after 6 a.m. The unidentified person was taken to an area hospital with a non-life threatening injury. Police are looking for the vehicle that struck the victim.